Will Neymar strike again when Barcelona take on Real Madrid? "It’s Barcelona that are currently faring better in the competition, having won both of their games." The American soccer audience gets to sample an El Clasico in the early hours of Sunday morning UK time, as Barcelona and Real Madrid clash in the International Champions Cup. It's Barcelona that are currently faring better in the competition, having won both of their games. A 2-1 win against Juventus was followed by a 1-0 victory over Manchester United, with all three of their goals having been scored by Neymar. The Brazilian is attracting plenty of headlines at the moment due to his rumoured move to PSG and a recent training ground disagreement with Barcelona's new signing Nelson Semedo. 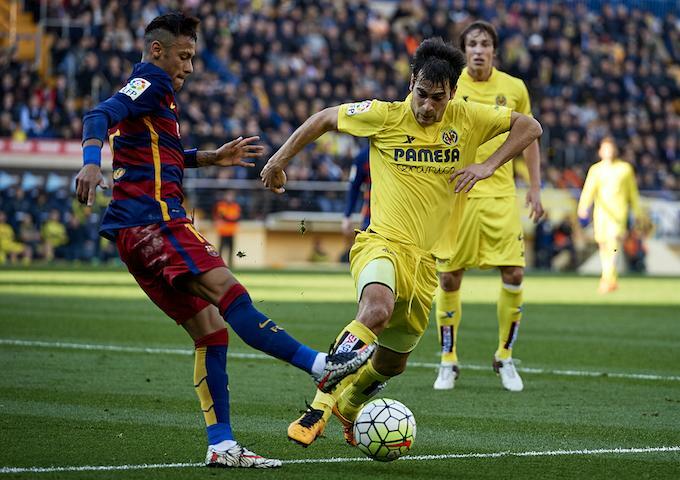 Should Neymar be selected for the match, he looks well-priced to add to his tally at [4.0]. Real Madrid have got off to a slower start in pre-season, drawing with Manchester United before losing on penalties and then being thrashed 4-1 by Manchester City. Zinedine Zidane has picked strong sides for both matches, but is without the services of Cristiano Ronaldo, who is on extended leave after having represented Portugal at the Confederations Cup. Without their talisman the reigning La Liga title Champions League holders are the outsiders at [2.76], with Barcelona the favourites at [2.46]. That makes Barca a good value bet at [1.82] in the Draw No Bet market given both teams' current form. There has only been one instance of a team keeping an El Clasico clean sheet in the last 22 meetings between the sides, making Both Teams To Score an option even at a price as small as [1.42]. If you think there could be plenty of goals, Over 3.5 Goals has delivered in four of the last eights El Clasicos, though it's perhaps a little too slim at [1.90] without Ronaldo playing for Madrid. At an altogether more reasonable hour for UK viewers on Sunday, there's another American setting for a domestic rivalry as Roma meet Juventus. Roma have finished second to Juventus in three of the last four seasons and came within four points of winning the title last season. With AC Milan having strengthened significantly in the summer, there is hope that Serie A could become a more competitive spectacle than it has been in recent seasons and Roma could take advantage in a more balanced league. They are currently faring better in the ICC than Juventus. After losing on penalties to PSG after a draw, they bounced back with a thrilling 3-2 win over Spurs. Juve are a point behind their rivals, losing their opening game against Barcelona before scoring a late winner to beat PSG 3-2. Recent results have been evenly split, with both sides winning twice and a draw from the last five games. Roma won the last encounter 3-1 at home in May, though it's fair to say that Juve had one eye on the Champions League final at that point. Though Juventus are the worthy favourites, they're maybe a little too short at [1.85] when you consider the even record between the teams in recent matches. That makes the draw at [3.5] look like the best pick here, as both sides have been involved in pretty tight games so far, making it likely that there will be an opportunity for a cash out at some point.